A fantastic and efficient way to explore Mazatlan! Your private driver will show you all the most famous sites, give you time to explore on foot whenever you like, and assist you in obtaining great photo opportunities! Our private city tour gives you a chance to enjoy sightseeing on your schedule, letting you see all the sights in as efficient of a manner as possible, and still leave you with lots of time to enjoy the rest of your day! This is a perfect cruise shore excursion, where you want to see as much as possible in as little time as possible, and want total freedom to adjust the itinerary as you like. If there are certain places you want to visit first, or special interests that you have, just let your driver know and he'll take you there. 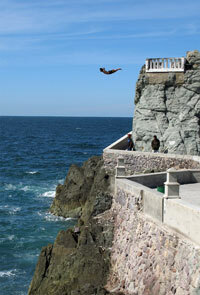 A great sightseeing opportunity in Mazatlan!